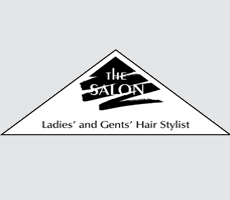 The Salon is celebrating its pearl anniversary. 30 years of glamourising the public. Over the years clients have travelled from near and far to visit us for advice and friendship. It is lovely to know that our work has been admired and appreciated from Milan, London and of course Clanfield as well as many places in-between. The team at The Salon has many things to celebrate; The return of stylists Emma H and Emma G after the recent arrival of their gorgeous babies Logan and Mia. The success of our most recent graduate Tia, who is now flying through her advanced hairdressing course with top marks in everything! Two years of creativity within The Salon, our newest and popular stylist Alice, and of course not forgetting to celebrate the continued inspiration of valued senior stylists Sophie, Ann and Anna. This year will see our stylists holding many events, the first of which will be hosting a stand at the Clanfield Challenge. The Salon will offer childrens fringe trims and French plaits and simple ‘hair ups’ for a donation to the PSPA charity. We will also be offering free consultations, haircare advice and product sales, and hope to welcome old, new and future clients. Later in the year we shall be holding an open day in The Salon, and we are very excited to support The Rowans again with another fashion and hair show- details to follow!! Visit us at the Clanfield Challenge on the 22nd May – help us celebrate, by doing what we do best, transforming you!